Like many others, I was very sad to hear about the passing of Bob Hoskins, who will forever be known for his work in Who Framed Roger Rabbit? But he was so excellent in so many other films, from great British movies like The Long Good Friday and Mona Lisa (for which he was nominated for an Oscar) to Hollywood roles in Mermaids, Hook, and Nixon. I don’t have any stories about him. I only met him once. I was visiting Terry Jones, who was supervising the recording of the audiobook version of his FAIRY TALES book many years ago. Terry had recruited Bob Hoskins to read one of them. At the time, he had recently finished The Long Good Friday, but he hadn’t achieved the level of fame that he later would. It was a pleasure to listen to that familiar Hoskins voice in the recording studio, and it was an even greater pleasure to meet him afterward and realize what a genuinely nice guy he was. Terry Gilliam was smart enough to recruit Bob Hoskins for this memorable role in his memorable Brazil. Enjoy. And rest in peace, Bob Hoskins. This entry was posted in Monty Python, Uncategorized and tagged Bob Hoskins, Brazil, Hook, Mermaids, Mona Lisa, Nixon, Terry Gilliam, Terry Jones, The Long Good Friday, Who Framed Roger Rabbit on April 30, 2014 by howardjohnson1985. 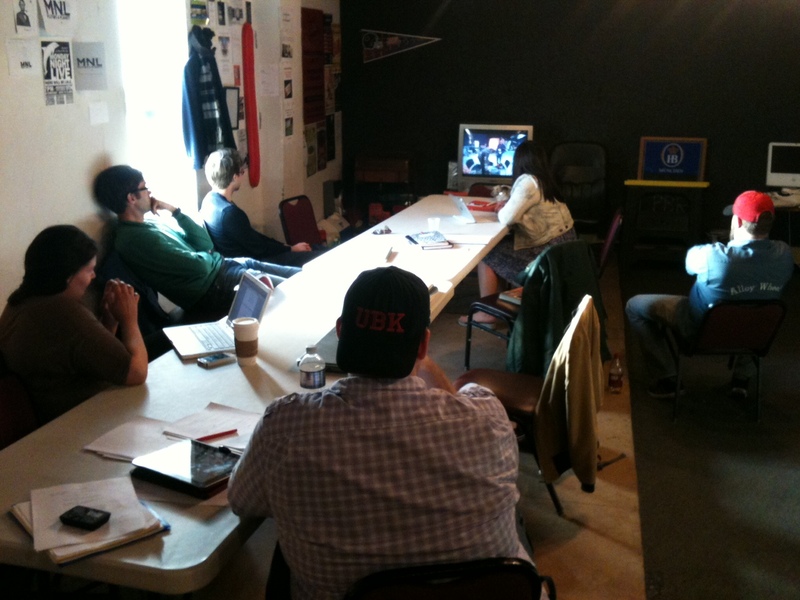 My old friend Michael McCarthy, who runs the writing program at the iO Chicago, traditionally runs a photo of his Pilot Script Class during their last session, when they traditionally watch Exporting Raymond, a terrific documentary that follows Phil Rosenthal as he tries to adapt Everybody Loves Raymond for a Russian audience. Unfortunately, Michael has been in Kuala Lumpur for the past couple of weeks, and I’ve been filling in for him. I think I managed to keep all of the classes on course, but I think part of my duties have to include running a photo of the class watching Exporting Raymond. Incidentally, it’s a very interesting documentary, particularly if you’ve ever worked in television, or even if you just watch television. We didn’t have time to watch either of the episodes with the Russian cast, but I’ll bet they’re worthwhile too. The Last of Python Goes Global! If you’ve been fretting because Monty Python Live (mostly) won’t be coming to your corner of the world (which would be just about anywhere except for the O2 Arena in London), fret no more. It’s true, the Pythons won’t be touring the U.S. (or anywhere else for that matter). Once the O2 show is done, so are the Pythons. But there is some good news. The Last Night of Monty Python will be shown live from the O2 Arena on the final night of live shows on Sunday, July 20th, broadcast live to 1500 movie theatres around the world. If you can’t be there in person, this is the next best thing. Actually, it’s the only thing. But it’s cheaper than a ticket to London. Picturehouse Entertainment will be broadcasting the upcoming Monty Python Live (mostly) show on July 20 2014, the historic Last Night of the Pythons live from London’s O2, to cinemas around the world. UK cinema tickets will go on sale from April 25, with further information available on www.montypythonlive.com. Monty Python rightfully hold a place amongst the world’s finest ever comedians, influencing a generation and revolutionising comedy on their way to greatness. There was huge demand for tickets at the O2, which will be the first live performances on stage by the stars of Monty Python since performing at the Hollywood Bowl on 26-29 September 1980. It will also mark 40 years after they last appeared on stage in the UK at the Theatre Royal, Drury Lane. At a combined age of nearly 361, John Cleese, Terry Gilliam, Eric Idle, Terry Jones and Michael Palin will once again take to the stage and perform some of Monty Python’s greatest hits with modern, topical, Pythonesque twists. I had the honor of interviewing Herb Gold, the “Elder Statesman of the Beat Generation,” a few weeks ago for my book on the history of The Committee. He’s a San Francisco icon–hell, he’s a national treasure–who has been just about everywhere, done just about everything, and written about it. A LOT, in way more books than I can count. He was even, at one point, a roommate of my friend Del Close when the latter was appearing with the St. Louis Compass Players in the late 1950s. Jamie Wright and Sam Shaw, who are compiling a documentary on The Committee, pointed out that there’s a great new interview with the esteemed Mr. Gold right here, and although it’s short, it’s well worth checking out. When I interviewed him for my upcoming book, I was amazed at how clear and accurate he was about things that happened more than half a century ago. I was even more amazed when I found out that he was about to turn 90 years old. Happy birthday, Herb! This entry was posted in Uncategorized and tagged Beat Generation, Del Close, Herb Gold, Herbert Gold, Improv, San Francisco, St. Louis Compass, The Committee on April 23, 2014 by howardjohnson1985. Since I made mention of the “Killer Joke”/”Joke Warfare”/”Deadliest Joke in the World” Monty Python sketch the other day, it struck me that since most of the people reading this weren’t in my iO classroom last weekend, I should probably elaborate on the two versions of the sketch. The original version of “Killer Joke” is in the very first “Flying Circus” show aired (which is actually the second one recorded), and runs about nine minutes. When I was interviewing Terry Jones a little while back, he mentioned that when the Pythons released their “Personal Best” DVDs, he had actually re-edited it, shortening it by over three minutes. He was proudest of the the fact that, with nearly one third of it removed, he still hadn’t lost a single laugh. That seemed like a lot to edit, so I viewed both versions afterward. And, not surprisingly, he’s absolutely right! The original version, which is the one I’ve embedded here, is very funny, but there are still a number of slow spots that can be edited out without damaging the sketch whatsoever. The most glaringly obvious is probably the pan from the British lines to the German lines, which seems to take forever. Terry took the whole thing and tightened it up, and when you view it on “Terry Jones’ Personal Best,” it zips right along and you don’t lose a single laugh. I use it in my classes to teach students the value of editing, and it works wonderfully. 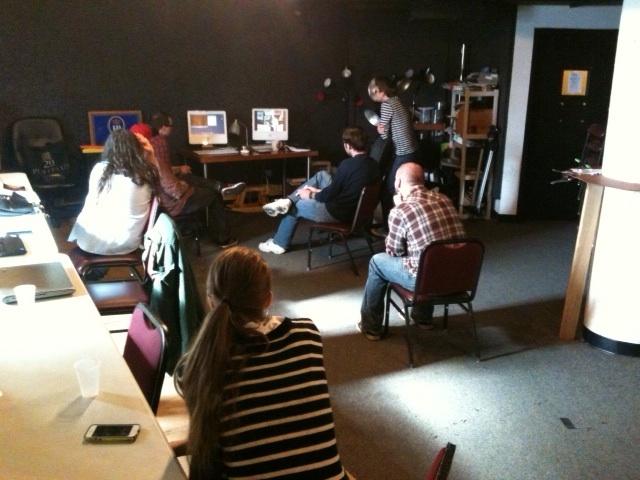 Anytime the audience isn’t laughing is a good time to examine the sketch to see if anything should be cut. 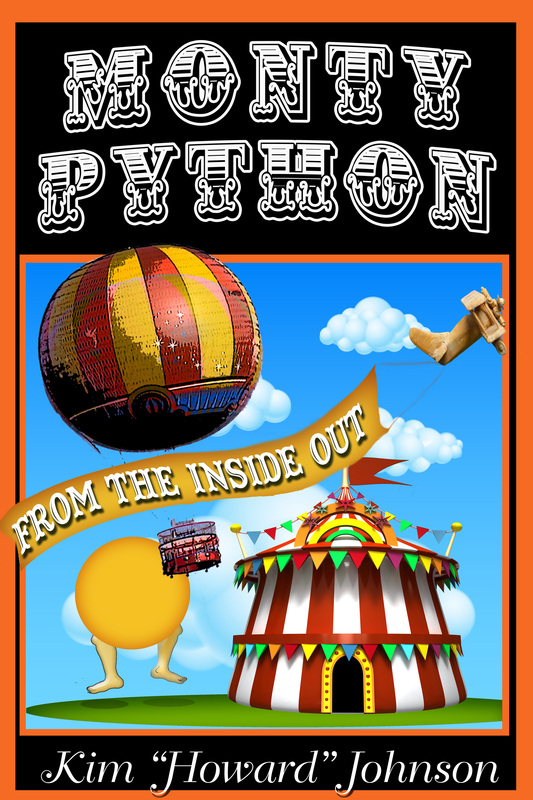 Actually, there is a third version in “And Now For Something Completely Different,” the first Python movie. It’s also shorter than the original version, but as I’m too busy to get it out and time it, you can check it out for yourself if interested. In the meantime, here’s the original. This entry was posted in Monty Python, Uncategorized and tagged Deadliest Joke in the World, iO, iO Chicago, Joke Warfare, Killer Joke, Monty Python, Monty Python's Personal Best, Terry Jones on April 22, 2014 by howardjohnson1985. Had a great weekend subbing for the Writing Program classes at the iO Chicago while the regular teacher went skipping off to Malaysia (Hi Michael!). Here, my Spec Script students watch two different versions of Monty Python’s “Killer Joke” on three different screens to learn how Terry Jones cut three minutes out of a nine minute sketch, without losing a single joke. Great job, classes, and I’ll see you again soon! This entry was posted in Monty Python, Uncategorized and tagged iO, iO Chicago, iO theatre, Killer Joke, Malaysia, Monty Python, Terry Jones on April 20, 2014 by howardjohnson1985. I’m always grateful for a good review (what author isn’t? ), and this one by Star at the Bibliophilic Book Blog is certainly no exception! I don’t like to shove my books down anyone’s throats, so hope you’ll cut me a little slack, but I thought this review stood out. THE LAST OF THE TIME POLICE feels like the little Time Travel Satire That Could, and just keeps chugging along, picking up fans and supporters along the way. No hard sell here–just a big thanks! For some reason, Sony pictures has decided that The Zero Theorem, Terry Gilliam’s amazing new film, is not going to be distributed in Scandinavia or Spain. Why, I don’t quite understand. And, I also don’t know how many followers I have in Scandinavia or Spain, but no matter where you live, it can’t hurt to sign this on-line petition so that the film-lovers in those places have the opportunity to check out Terry’s new movie, which stars Christoph Waltz, David Thewlis, and Matt Damon. 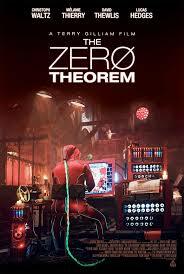 The Zero Theorem is scheduled for a late summer 2014 release by Sony in the U.S., but that doesn’t mean they shouldn’t spread it around to the rest of the planet, does it? This entry was posted in Monty Python, Uncategorized and tagged Norway, Scandinavia, Sony, Spain, Sweden, Terry Gilliam, Zero Theorem on April 17, 2014 by howardjohnson1985. For those still working on income taxes–be sure to report any skinny chickens or horses with clocks in their stomachs. This entry was posted in Uncategorized and tagged Art Carney, Ed Norton, Honeymooners, income taxes, irs, Jackie Gleason, Ralph Kramden on April 15, 2014 by howardjohnson1985.